How I Reduce Homeschooling Costs - Look! We're Learning! 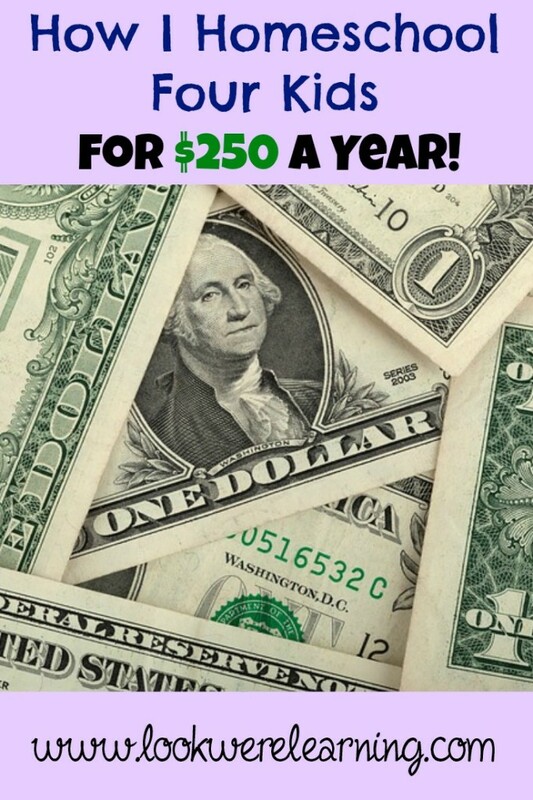 How I Keep My Homeschooling Costs to $250 a Year for Four Kids! It’s homeschool planning season! And that means it’s time to review our homeschooling costs. If I had my way, we’d have an unlimited budget so I could buy ALL the curriculum, ALL the books, and ALL the resources there are. (Wouldn’t that be wonderful?) But we have to be responsible, so I set a yearly homeschool budget of $250. For some homeschoolers, that may still be a bit high, but I look at the cost of attending public school and we’re still saving a ton. Between school lunches, uniforms, school supplies (which now include bottles and bottles of hand sanitizer), field trips, fundraisers, class parties, and sporting equipment, I know we’re coming out ahead. 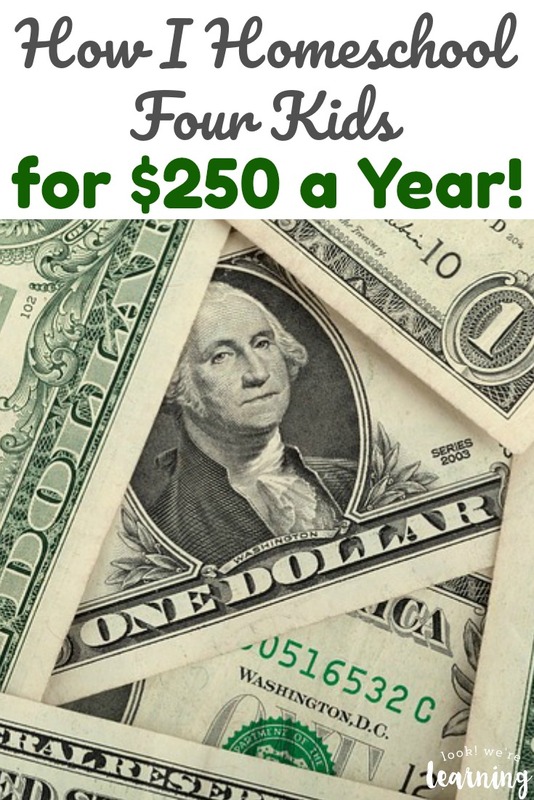 So – here’s a look at how I keep my homeschooling costs for all four kids to $250 per year. And for even more ways to save on homeschooling, don’t miss our ebook “How to Afford Homeschooling“! 1. Make use of as many free homeschooling resources as possible. When I set up our homeschooling budget, I start by including as many free homeschooling programs as I can find. Easy Peasy All-in-One Homeschool, a completely free program, has always been a favorite in our home. I use that as the basis for a lot of our subjects and then I supplement as I see fit. I also use other free educational websites such as Essential Skills Advantage and PBS Learning Media. Of course, the local library has been a huge help in increasing our reading list and minimizing the number of bookshelves we need each year. 2. Decide what you’re willing to invest in. Every year, there are a couple of items that I’m willing to pay a little more for. ABC Mouse is one of these. Our youngest child is an insatiable learner. She wants to learn everything about everything and she wants to have it done YESTERDAY. Now that my boys are older and need more of my time to understand math skills, I like having a program she can use on her own. And that’s why ABC Mouse has been so great. It’s designed for kids from PreK through Grade 2 and it’s not just for enrichment. It actually is a complete curriculum that kids can navigate through with periodic parental involvement. We’ve been using it for the past couple of years and, now that she’s entering first grade, we’ll be using it again. I set aside about $25 for normal school supplies each year. We’ve already purchased our basics for this year, including pencils , markers , crayons, notebooks , and filler paper. Back to school sales, of course, are the best for finding those items. This year, we don’t have access to a vehicle during the day, so I won’t be purchasing any attraction memberships. However, we usually choose one attraction per year and become members. I can usually find a great deal by browsing Groupon and jumping on a family membership deal. Since we have that extra amount available in the budget, I’m using Time 4 Learning to strengthen the boys’ ELA and math skills for a couple of months and make sure they’re ready for fifth grade this fall. 3. 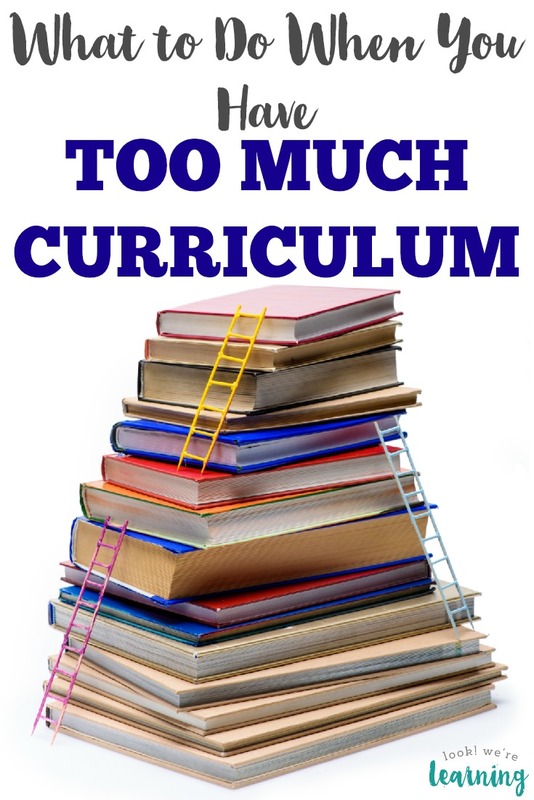 Buy curriculum you can use for years. Because we have more than one child, we try to buy non-consumable books that we can use again and again. In fact, that’s one of the reasons why I love anchor charts so much. I make them once and then I have them for future years. We use Family Time Fitness for our Homeschool PE Curriculum and that’s also a program you can buy once and then use again and again as the kids grow. Most of Tigger’s storybooks and readers were handed down to Pooh and Roo over the summer, so they’ll be using those this year. I found the vast majority of Tigger’s books for the upcoming year in the $1 bins at Target. I also pick up a few comprehensive grade-level workbooks , and I use those for workboxes and standardized test preparation. 4. Don’t be afraid of “used” products! I’m a total school nerd and the smell of new textbooks is enough to make me prefer to purchase a book brand new. Over the years, though, I’ve gotten over that and I’ve fallen in love with used books. Amazon is a wonderful resource for used books and we’ve found some excellent homeschooling resources over the years by browsing the used books section . Large kids’ consignment sales, which I’ll be talking about in a future post, are excellent for finding books and textbooks as well. 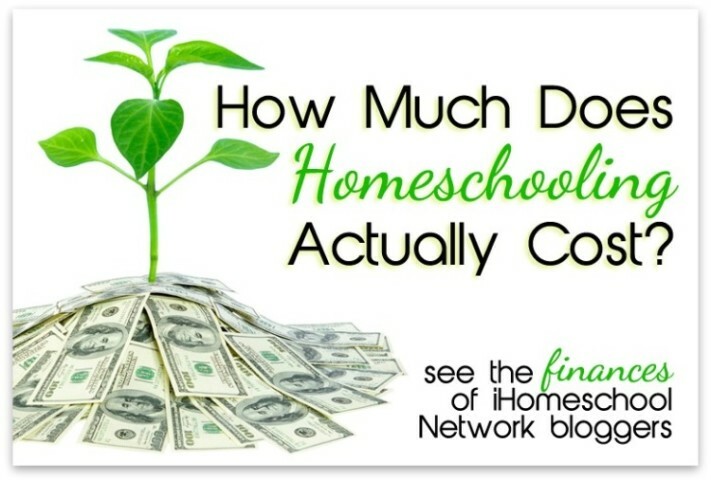 I’d love to hear how you set a budget for your homeschooling expenses and stick to it! Tell us about your homeschooling costs and choices in the comments! Want even more ideas for homeschooling this year? Check out these posts! 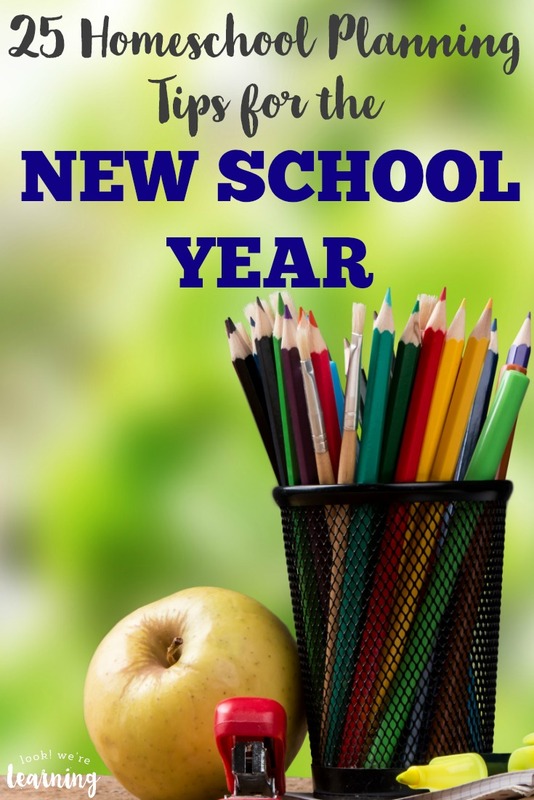 Plus, get more tips to plan your homeschool year on my Homeschool Planning Pinterest board! 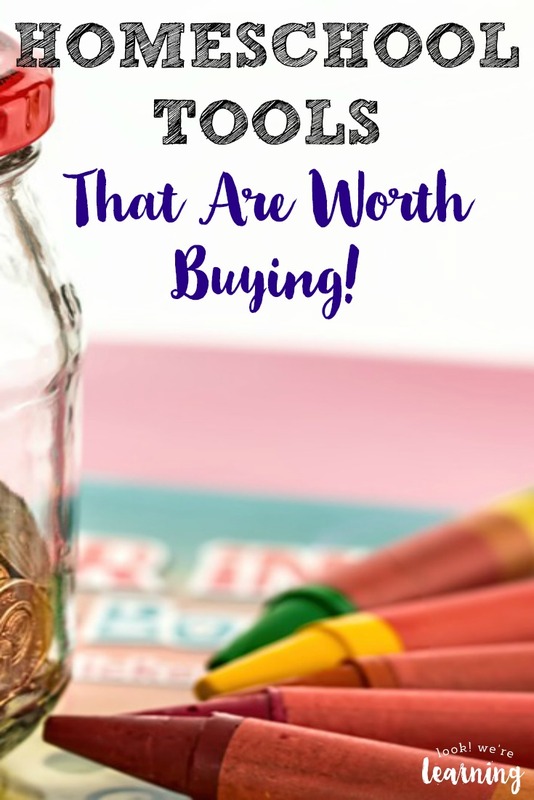 This post is part of the “How Much Does Homeschooling Actually Cost?” linkup from iHomeschool Network! Stop by to see how our fellow bloggers budget for their homeschooling expenses each year! Good Job! I am afraid I will go over that this year. Teaching textbooks is $100 alone! Luckily my two are doing the same grade this year. I’ve heard great things about Teaching Textbooks, though, so that may be a worthwhile investment. Math is always worth investing in, in my opinion. 😉 Thanks for stopping by! My budget is $750 this year. I have two grades of Teaching Textbooks to purchase (which is $300) and then Chemistry and supplies plus a computer gaming program for my high schooler (he is interested in game programming). The chemistry books I bought used but I will buy the Dive cd to go with it because I just don’t have time to teach everything to five kids. The good news is that I have one more “expensive” year with the high schooler but once he graduates, my budget will be significantly less. High school is pretty pricey but with five to go through it I decided that it was worth the expense. Yes, I fully expect to increase our budget once we get into middle and high school. But I think those are critical years and they’re definitely worth the investment. Thanks for visiting! Printer ink is what usually sinks our budget. I’ve gotten to where I avoid binge printing great resources ahead – too often we don’t end up using them after all. Instead, I only print worksheets, or studies as we need them. It takes more time in the moment, but saves on waste in the long run. Yes! Printer ink is the worst! I’ve switched to using my Kindle and the laptop much more often just to save money on printer ink…lol. I was homeschooled with a boxed curriculum when I was young. They can definitely be a lifesaver, especially if you’re not quite sure what to cover. Some of those programs are really great! 🙂 Thanks for visiting! Price matching, swaps, and used curriculum sales are one way I keep the actual textbooks under budget. I hadn’t really thought about including printer ink, paper, and those type things in my budget since our family would buy them anyway, but it would be a good idea to know for sure how much it was costing us. Another way I save is using curriculum with more than one child (Story of the World for history, Apologia for science, etc.). Fantastic post! 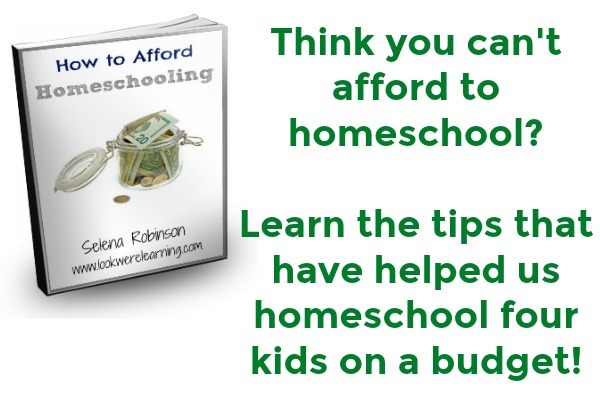 I’m always looking for ways to reduce homeschooling costs! We use Life of Fred and we love it! My daughter always laughs while we’re reading it (Fred is quite funny). If your children like stories, they’ll love Life of Fred. Thanks for sharing your tips (and for linking up to the #SHINEbloghop). I am always looking for inexpensive or free curriculum. Thank you for the great ideas and links. Two others you might like are kahnacademy and learningaisle. I’m about to checkout the link for All-in-one Easy Peasy Homeschool. I homeschool my six year old and I’m looking to use more free resources this year. I’m still trying to figure out what all curriculums we will use this year. Does anyone homeschool high schoolers? It’s an option we might be choosing next year after a number of years being disappointed by the local district. What about manipulatives? That’s what sinks our budget. Base ten blocks, counting bears, bananagrams, ten frames, word sorts, geography puzzles, wood blocks etc. Maybe its just because I have you get kids so everything has to be hands on. Hi! A good friend of ours gave us two tubs of manipulatives a couple of years ago, so that’s what we use for counting. As far as tenframes, I think I’d just print them or make them out of pipe cleaners or popsicle sticks. Buttons, beans, and coins are also great, inexpensive counters. Intresting,thanks for sharing!We have 7 kiddos and spend a little bit more than that but we do use easy peasy and have for years! 1st – Do you think this is possible with high school courses? 2nd – while I was reading your post I was also looking into this – but I like the video/interactive one you have! Hi! I definitely think it’s possible for high school. Easy Peasy Homeschool has several high-school level courses available for free, plus you can use Khan Academy and Saylor, which are also free. I think high school might be the least expensive part of all for our kids…lol. Thanks for sharing your resource! Im looking for some one that can home school my 5 year old daughter I’m having trouble putting her in school because I have no car or money to pay people to take my daughter to school and I’m starting work so I’m really tight with everything and I really need some one to home school my daughter some one cheap.